Click on image to view all three videos. An engaging new documentary series highlights the major events in the San Diego region’s on-going quest for safe and reliable water supplies.The three-part series provides a compelling, 13-minute overview that chronicles the search for water from the indigenous people through decisive actions by area leaders to develop the region’s diversified water supply portfolio and robust infrastructure that today sustains 3.3 million people and a $231 billion economy. Click image above to view flipbook. 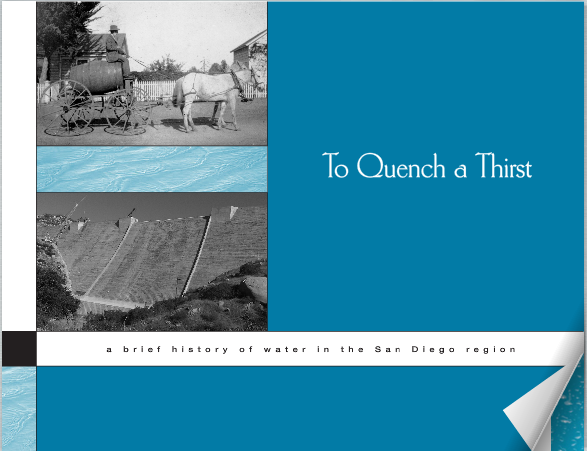 The documentary series is based on the book “To Quench a Thirst: A brief history of water in the San Diego region," first published by the San Diego County Water Authority in 2002 and updated in 2013. The videos highlight the historic challenges the region overcame to meet the water needs of a growing population and vibrant economy despite few local water resources. 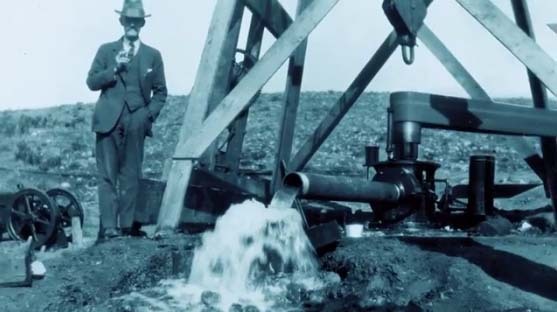 The story includes building the first major dams and reservoirs in the late 1800s to modern investments and prudent management of water supplies that sustain homes and businesses even during very dry years. The documentary series is part of the Water Authority’s award-winning Citizens Water Academy, a class series for community leaders interested in water issues. It’s also designed for use by teachers, community groups and others who want to learn more about the region’s most precious natural resource. The three-part video series was made possible by a grant from The Hans and Margaret Doe Charitable Trust.